Lemon balm is an herb which belongs to the mint family. The leaf of the lemon balm plant has a distinct lemon scent and flavor, often used in medicine and to make tea. In ancient Turkey, lemon balm was planted to attract bees for pollination and honey collection. In the Greek language, Melissa means honeybee, which is where lemon balm got its proper name; Melissa officinalis. Lemon balm is a perennial herbaceous plant that is native to the Mediterranean area, Central Asia, Europe and North Africa. Typically, lemon balm grows up to 59 inches in height. The plant does produce small white flowers with nectar, which is why bees are so fond of the plant. In the correct soil, lemon balm grows with great zeal, and can overtake neighboring plants. It is best to plant this herb with plenty of space. What is Lemon Balm Tea Good For? Other lemon balm uses that don’t have a great deal of scientific backing but have been used for centuries in natural medicine include treating IBS, depression, colitis and tumors. Making an oil or extract of lemon balm also has a great number of medicinal uses. What Does Lemon Balm Tea Taste Like? Lemon balm tea is very light and delicate, not at all like a crisp fresh lemon. Many people use no sweeteners with this particular tea. Lemon balm is, of course, citrus-flavored but not in an overpowering manner. Lemon balm is really quite earthy compared to lemongrass and nowhere near as pungent as lemon verbena. Dried lemon balm is particularly woody and deep with a sweet fragrance. Lemon balm pairs beautifully with many herbs or teas. Rose hips are a favorite, as they add a tart fruity flavor to the tea. Other suggested pairings are verbena, mint, lemon, anise, fennel and fenugreek. Because lemon balm has a light citrus flavor, many people enjoy a fresh sprig of mint or slice of orange in their tea. Anti-inflammatory action – In studies rosmarinic acid was found to produce an anti-inflammatory effect when used in extract form. The benefits of drinking lemon balm tea in regard to inflammation are not currently proven scientifically, although Ayurvedic and Traditional Chinese Medicine have used lemon balm for this purpose for centuries. Sedative effects – Lemon balm helps relieve tension, stress and mild insomnia. According to WebMD, taking lemon balm can improve the quality of sleep in both healthy people and in those who suffer from sleeping disorders. Antimicrobial properties – In animal studies, lemon balm has antiviral activitiy against a wide range of viruses. This includes HIV-1 and herpes symplex. This is due to the caffeic acid, tannins and trimeric derivatives. Activity against bacteria and fungi may be due to the concentration of citral or citronellal makeup of the herb. Anticancer activity – During in vitro studies against human and mouse cancer cell lines, lemon balm showed anticancer activity. Action on the nervous system – Drugs.com reports, that in one study, patients with Alzheimer’s and dementia showed a decrease in stress and agitation. Full of health benefits, the primary biochemical profile of lemon balm consists of rosmarinic acid, resin, tannins, polyphenols, flavanoids and essential oils such as citral, citronellal, linalool and eugenol. These oils act on the digestive system and the nervous system, helping reduce migraines, insomnia and issues with anxiety. The flavor that lemon balm is so loved for comes from the citronellal and geranial. Are There Any Side Effects from Lemon BalmTea? Lemon balm when used in food amounts, such as in tea, is considered safe for most people. Some common side effects that have been reported in a small number of people include vomiting, dizziness, nausea, wheezing and abdominal pain. Pregnancy and breastfeeding – Due to a lack of information regarding the safety of lemon balm when pregnant or breastfeeding, it is best to err on the side of caution and avoid lemon balm, particularly in medicinal amounts. Babies and children – While lemon balm is used for colic commonly, there is little scientific information regarding the safety of this practice. In older children above the age of 12, lemon balm is likely safe in food amounts for short periods of time. Surgery – Lemon balm acts as a sedative. Therefore, it may increase the sedative effects of anesthesia during surgery. To be safe, stop taking lemon balm at least two weeks before a scheduled surgery. According to Drugs.com, most clinical trials involving lemon balm report no adverse reactions. The typical dose for lemon balm in tea is from 1.5 to 4.5 grams per day. Of course, larger doses are needed for medicinal purposes. Doses of between 600 to 1,600 milligrams have been used in clinical trials. When used as a sleep aid approximately 80 milligrams of lemon balm combined with 160 milligrams of valerian extract is standard. When making lemon balm tea, use 1 large teaspoon of the dried herb per cup of water. If using fresh lemon balm use 2 tablespoons. Do use boiling water when making this tea and allow to steep for at least 5 minutes. For a stronger flavor, steep up to 8 minutes. To make lemon balm sun tea, use cool water instead. Place in a jar and cover. Put the jar in the sun for 4-6 hours and enjoy. 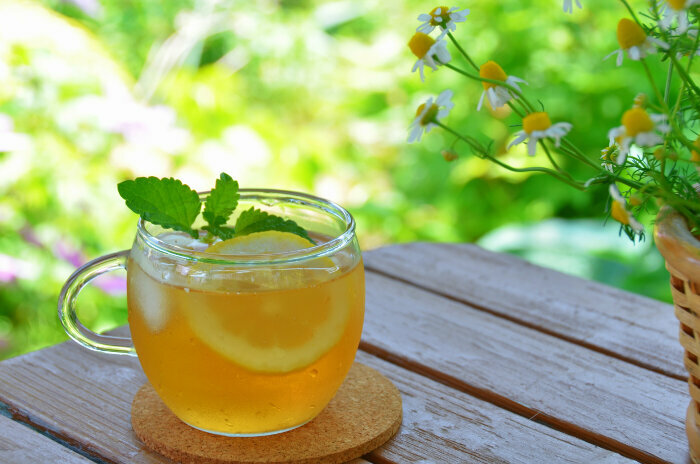 Raw organic honey pairs beautifully with organic lemon balm sun tea. To keep lemon balm fresh for future enjoyment, store the leaves in an airtight container in the freezer. Keep dried herbs in a cool dark place, preferably hung in bunches upside down. Lemon balm tea is one of the more popular herbal teas. It can be found in most health food stores and online. 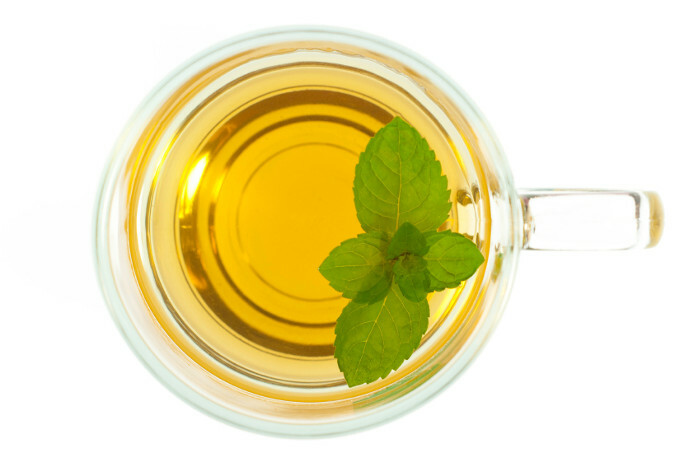 Some major grocery stores also carry lemon balm tea, although it is often not organic. Favorite choices include Traditional Medicinals, Alvita, Celebration Herbals, Adagio Teas and Tea Haven. Premade mixes such as Anise, Peppermint and Lemon Balm are also available and generally quite delicious. Virtually anyone can benefit from drinking lemon balm tea. It seems issues such as upset stomach, insomnia and stress are just part of daily life for many people. Slowing down to enjoy a hot cup of tea can treat many of these issues, no matter what kind of tea a person enjoys. Lemon balm directly combats all of these common issues and so many more. From colic to cancer, lemon balm is a wonder herb. Lemon balm is one of those teas that we can’t dislike for any reason. It has virtually no negative side effects, treats common ailments and illnesses, and shows some serious promise for cancer and HIV. That alone gets a big thumbs up! Of course, there’s also the fabulous earthy taste of lemon balm hinted with citrus undertones. Again, we simply love it. Lemon balm is easily in our top ten teas of all-time. Lemon balm is known as the herb of good cheer? Lemon balm both attracts honeybees and encourages them to stay in their hives. A lemon balm sachet under the pillow promotes a peaceful sleep. In the Renaissance and medieval periods, lemon balm was used to mask less than pleasant smells associated with great houses.